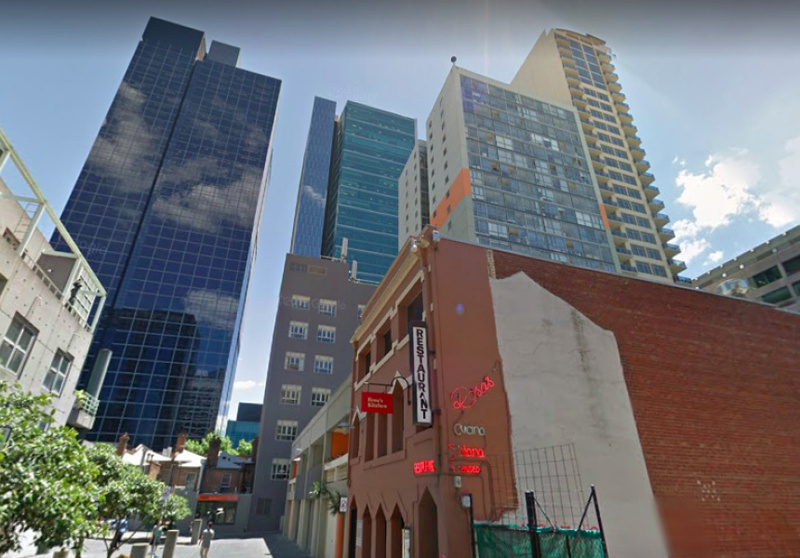 The CBD’s Punch Lane is getting an impressive new tenant, with Joseph Abboud (Rumi and Moor’s Head), Ari Vlassopoulos (ex Pei Modern, Hellenic Republic) and Rumi head chef Tom Sarafian opening a new Middle Eastern restaurant there next month. Come early March, the former site of Rosa’s Kitchen, which closed in 2016, will be reborn as Bar Saracen. 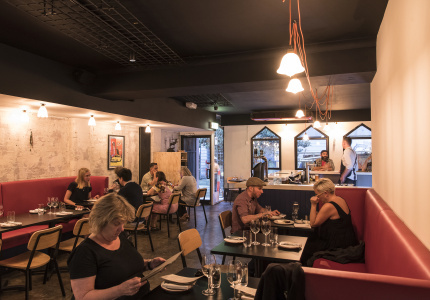 Abboud describes the new venue as “more elegant than Rumi” – his Middle Eastern spot in Brunswick East – playing with a wider variety of ingredients and techniques. 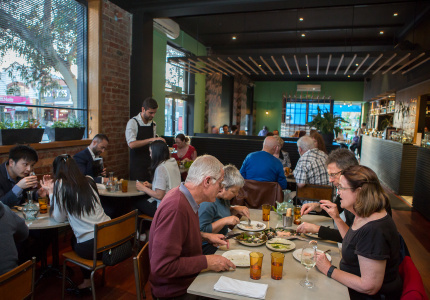 “It’s a modest little restaurant, but this gives us another outlet and another option to express what we have been doing at Rumi for 11 years. 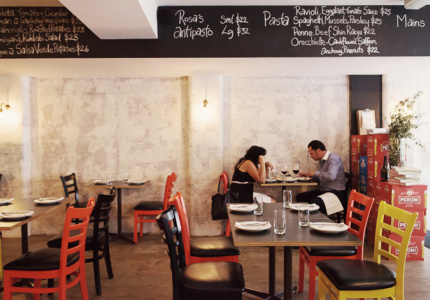 It’ll be telling another story of Middle-Eastern food and culture,” he says. 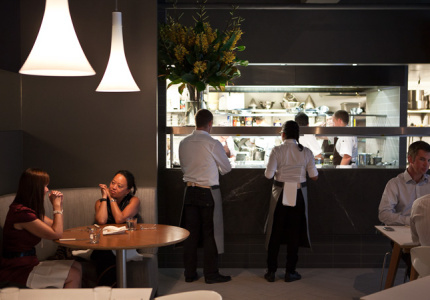 That story, he hopes, will offer more context for diners around the heritage of the dishes they’re eating. 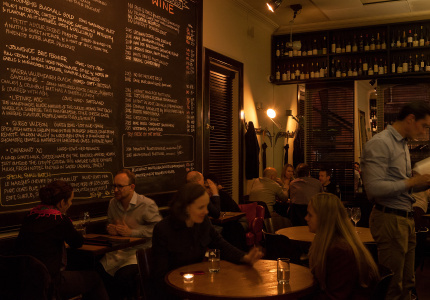 The menu will focus on share plates and show a breadth of Middle Eastern cooking. Abboud is excited to serve a riff on one of his favourite family dishes, tarator, a baked white fish topped with tahini and nuts his mother used to make for Sunday lunch. “She would pack little containers of leftovers and it would become a bit like shredded fish, like a rillette, so we’re playing on that idea,” he says. Diners can also expect an Iranian baba ganoush-style dip made with fermented whey and twice-baked in eggplant skin. The team will bake its bread in-house, and the drinks list will traverse lesser-known wine regions in Turkey, Greece and the Middle East. 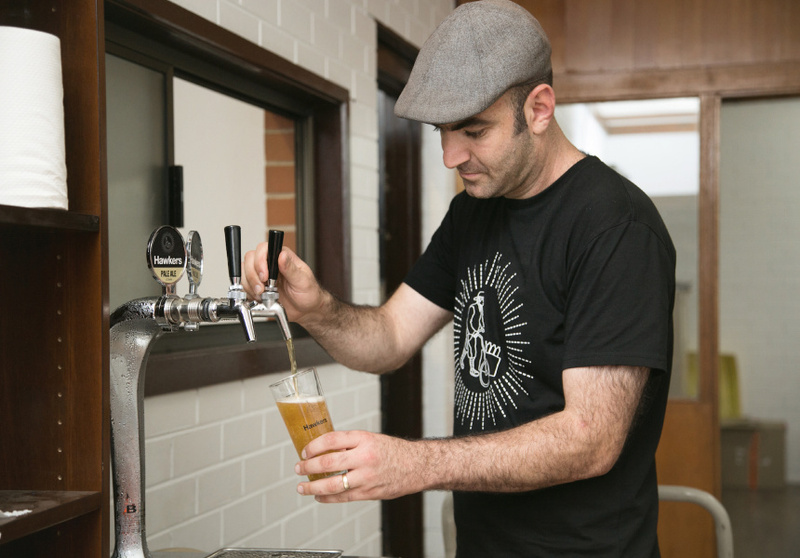 Bar Saracen will open in the first week of March 2018 at 22 Punch Lane in the Melbourne CBD.